Annapolis, MD – Speaker of the House Michael E. Busch, Senate President Thomas V. Mike Miller, Jr, and Attorney General Brian Frosh today announced common sense gun safety legislation to provide for safer protections for Maryland families while keeping guns away from those who would endanger others. 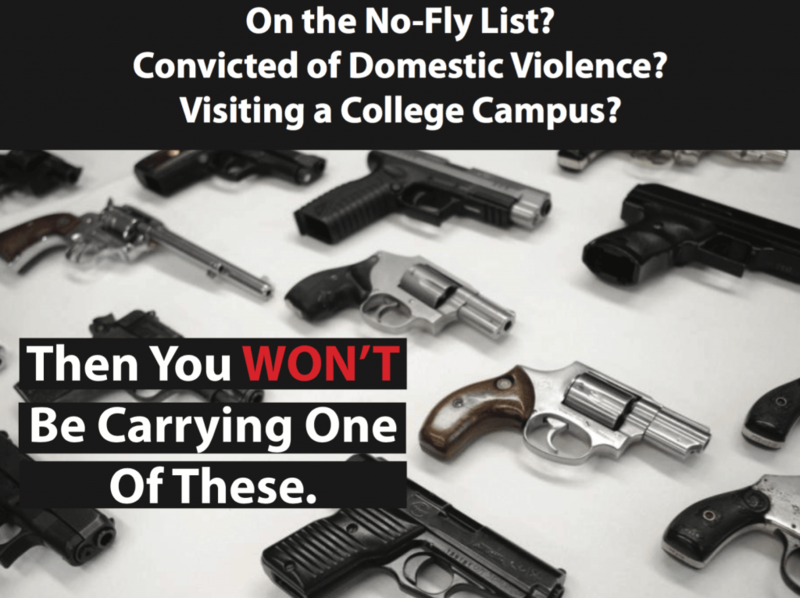 Banning deadly weapons on college campuses (Senator Madaleno/Delegate Barnes): Currently, guns on campus are decided on a campus-by-campus basis at public four-year institutions and community college campuses. Washington College closed for a week in November because of threats of gun violence. Students on college and community college campuses deserve to feel safe, and not have to worry about their roommate, classmate or acquaintances possessing weapons and keeping them on campus. The legislation would make it illegal for a person to possess a gun on public colleges and university campuses, including community colleges. It exempts police officers and security personnel. Banning those on the Terrorist Watch List from Purchasing Guns (Senator Rosapepe/Delegate Clippinger): President Obama has called on Congress to act on this issue, stating “Congress should act to make sure no one on a no-fly list is able to buy a gun. What could possibly be the argument for allowing a terrorist suspect to buy a semi-automatic weapon? This is a matter of national security.” Terrorists have consistently pointed out the ease of purchasing guns in this country, and have encouraged their followers to take action. This legislation would prevent the State Police from issuing gun permits to those on the Terrorist Watch list maintained by the FBI, closing this loophole and making Marylanders safer. Keeping Guns Out of the Hands of Convicted Domestic Violence Abusers (Senator Raskin/Delegate Smith): When a domestic violence abuser has access to a gun the chances of the victim being killed rise 500%. While Maryland law prohibits abusers from possessing firearms, the courts don’t always order their surrender. 760 Americans were killed with guns annually by spouses, ex-spouses or dating partners between 2006 and 2014 – a number far too high. This legislation would require courts to order people convicted of a domestic related crime to transfer all firearms in his or her possession to a federally licensed firearms dealer or local law enforcement within 2 days of conviction or probation before justice. This bill does not expand the list of those prohibited to own firearms. It merely creates a process for convicted domestic violence offenders who are prohibited to immediately turn in any guns.